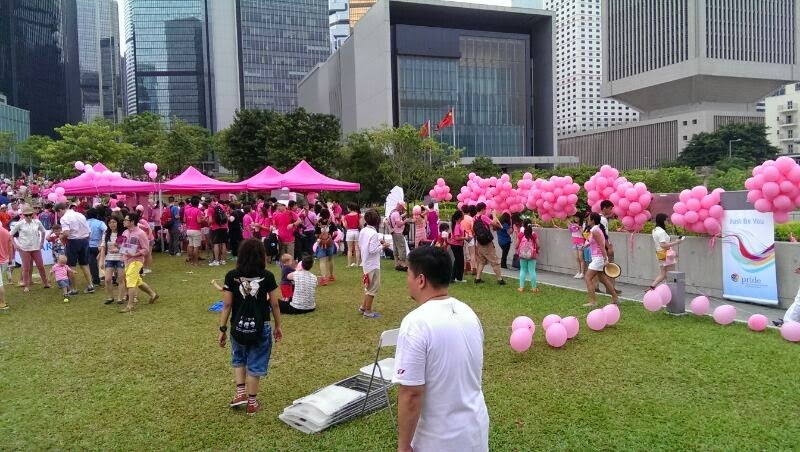 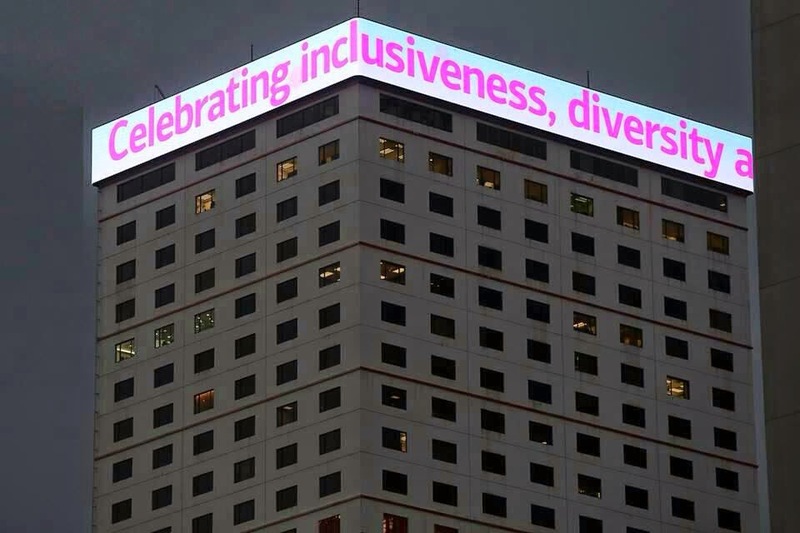 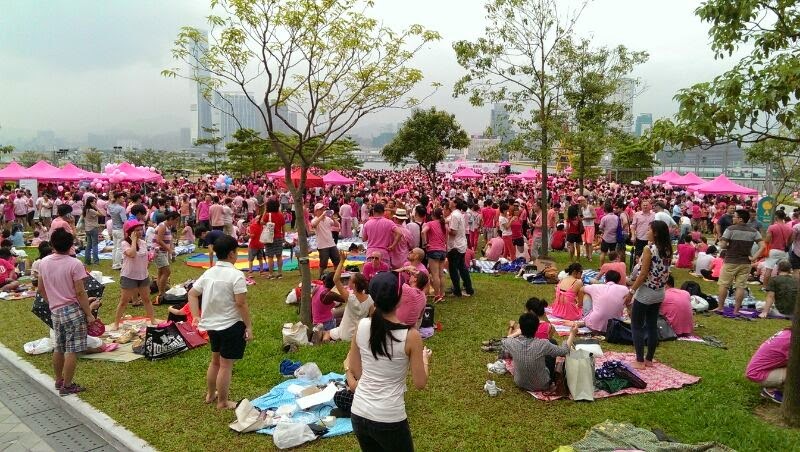 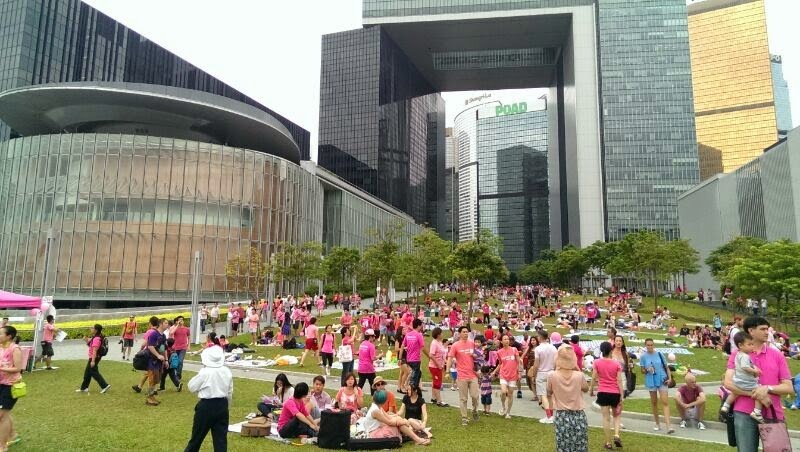 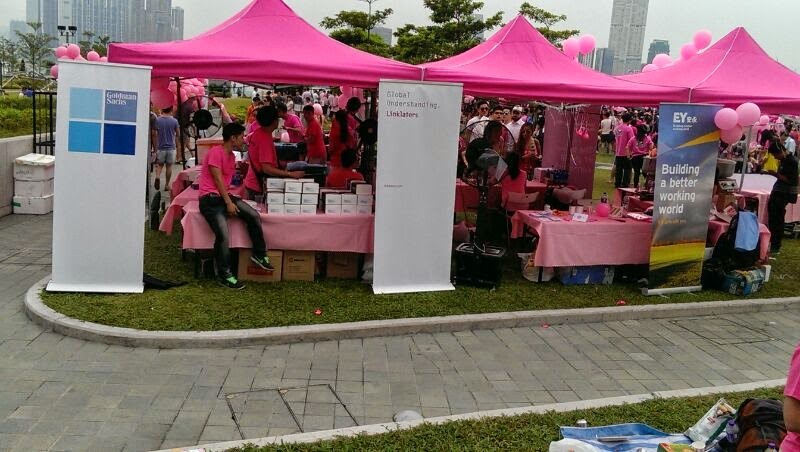 Pink Dot in Hong Kong - A Pride Celebration is currently on. 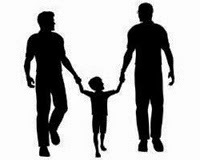 It is billed as a family day so I hope that lots of kids come with their GLBTI parents and experience the wonderful sense of inclusion that these events bring. This is Hong Kong's first PINK DOT festival - we wish it all the success! 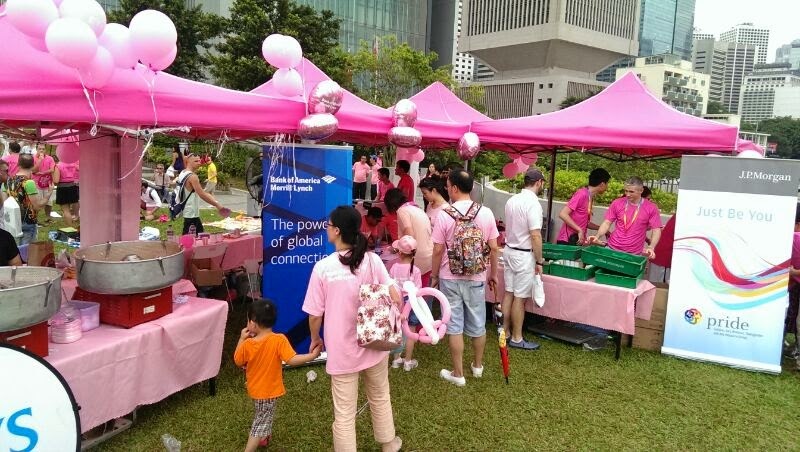 The event is being held on the lawns outside the Legislative Council and is being sponsored by Bank of America! 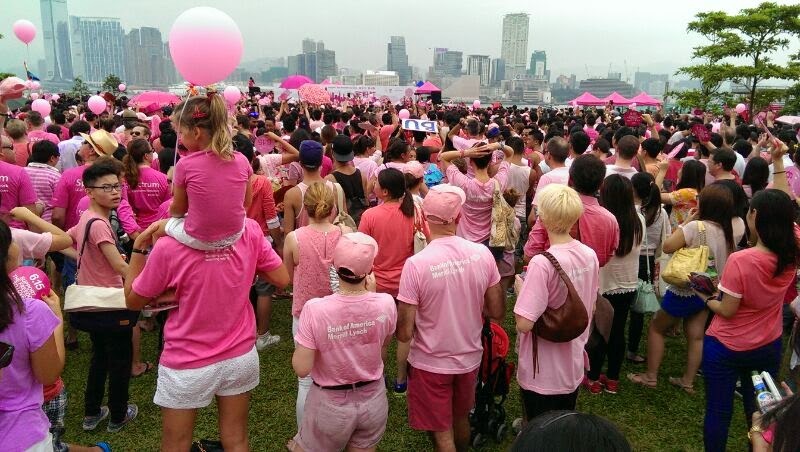 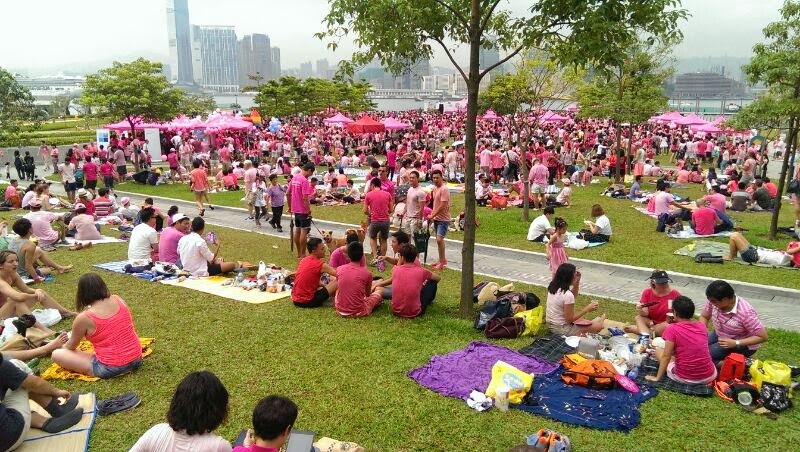 Pink Dot Hong Kong is a free, casual and fun outdoor event for families, friends, and colleagues of LGBT to show their support for inclusiveness, diversity and love equality. 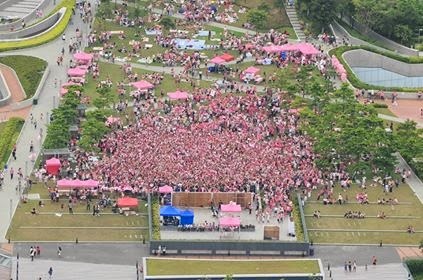 a free live concert featuring well-known Hong Kong performers including Anthony Wong, Denise Ho and more. 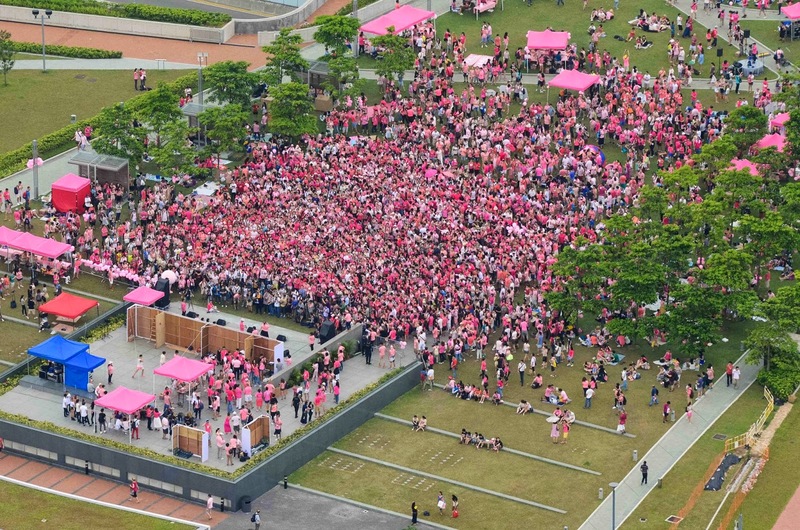 the formation of a giant human pink dot during the day. 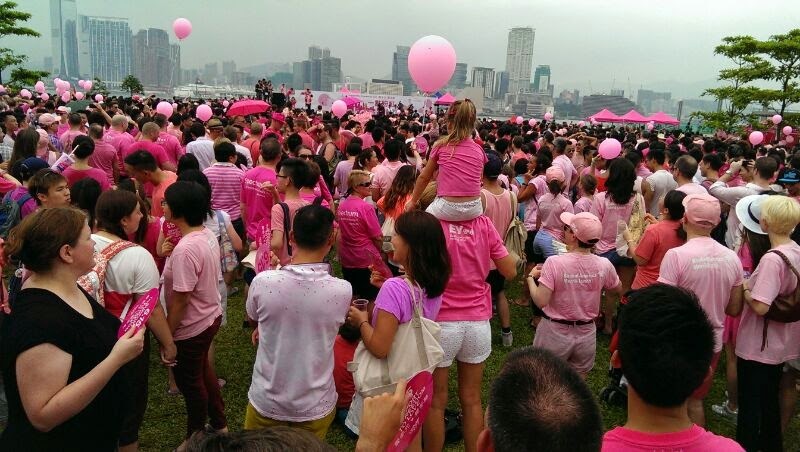 A good friend who is there has just sent me a couple of shots of the growing crowd.